Accompanying the exhibition, a similarly named book was published. 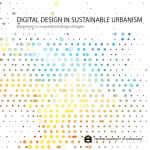 The Digital Design in Sustainable Urbanism – Explorations in computational design strategies was published in print and as an online PDF! The print version is available for a limited time at the exhibition at the Tampere University of Technology and the PDF version can be found behind the link at the bottom of the page. I will also add the publication to the BOOKSHELF page. 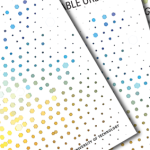 This booklet and the accompanying exhibition represent student explorations in the Digital Design in Sustainable Urbanism course, held at the Tampere University of Technology within eight weeks at the beginning of 2013. The course is a new addition to the TUT architecture curricula, but even this very first implementation displays promising results through these inspirational student works. 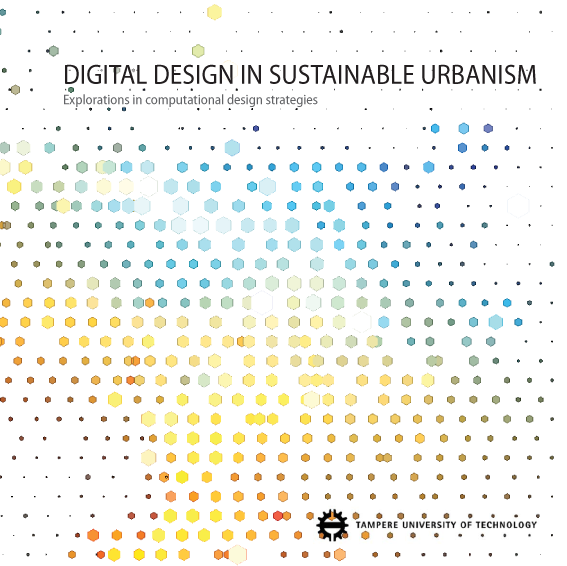 The goal of the Digital Design in Sustainable Urbanism course was to introduce students into the new world of possibilities in digital design; especially in the shift in thinking design through the use of algorithmic processes and parametric modeling. The task of learning a new parametric design software, within this tight schedule, is no simple task when you combine it with the requirements of testing and analyzing the influence that different design parameters have in the urban design. The course demonstrated different analysis and design methods in urban scale and encouraged students to explore the design potential of them. The methods were selected to form a broad scale of analysis and design processes that could be beneficial in urban scale design development. Each week represented a new set of methods and challenges for the students to absorb. The design explorations presented in this book, represent the student’s answers to these different tasks presented to them. Through their work, they demonstrate vast potential and great assimilation of knowledge within this tight schedule.